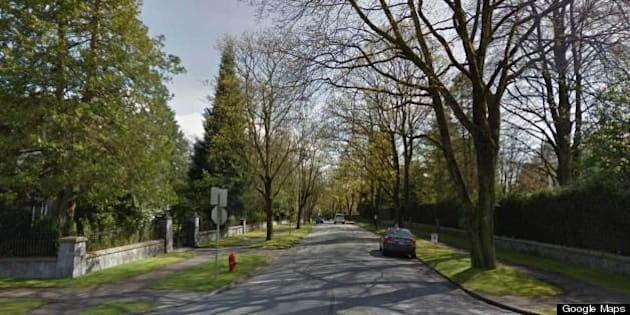 Vancouver's Shaughnessy neighbourhood isn't just the most expensive in the city, it's also tops in Canada when it comes to average home value, say statistics compiled by Canadian Business. The magazine ranked Canada's richest neighbourhoods and two Shaughnessy streets came up with the country's highest average home values. 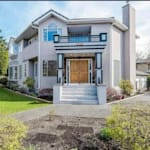 Homes on Cedar Crescent in the westside neighbourhood had an average value of $3,272,549, while homes on Beverly Crescent were valued at $3,035,096. Read the full list in Canadian Business. Spencer Court in West Vancouver's Altamont neighbourhood ranked fifth in Canada with an average home value of $2,340,236, while West 28th Avenue and Cypress Crescent, also in Shaughnessy, ranked seventh and eighth with average values of $2,287,709 and $2,271,555, respectively. Canadian Business came up with its rankings by enlisting Environics Analytics to look at the five richest neighbourhoods in each province by net worth. The magazine pointed out that many of these neighbourhoods have fewer than 200 households and less than 500 people, giving what the authors call a "precise glimpse" of what life is like in these communities. Despite having the most expensive houses in the country, none of the Vancouver neighbourhoods registered the highest net worth. Residents of Cedar Crescent had an average net worth of $7,727,395, the sixth-highest in Canada, while Cypress Crescent and West 28th Avenue ranked ninth and tenth with net worth of $7,340,243 and $7,170,565, respectively.